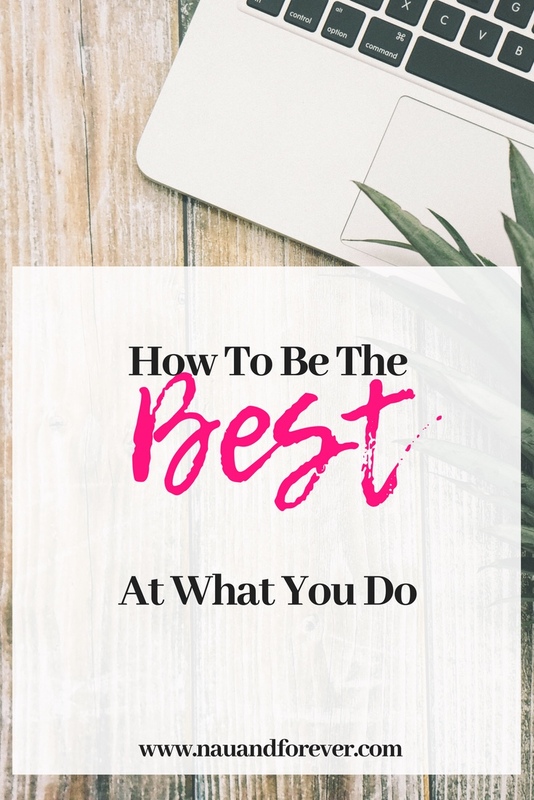 Have you wondered how to be the best at what you do? Have you wondered where to even begin? Think of people you know who are great at lots of things. If you can’t think of anybody, I’ll give you some examples: Tony Robbins. Tim Ferriss. Oprah. Just to name a few. They’ve written books and interviewed important people. They’ve been in movies. They all have something in common: they know how to be the best at what they do. Well, maybe not every single thing. But the things that they want to be the best at. Check out some pointers that these great people use that you can begin using too. First of all, you need to pick something that you want to be the best at and stick with it. For Oprah, it was interviewing celebrities. She started off small at a local radio station before being discovered and then able to interview some great people. All of that before everybody knew her name! Pick something you want to do, and make sure you have that same conviction. Giving up isn’t an option. You will do this. With that viewpoint, you can’t fail. Well, you might, a few times actually – but you won’t let it stop you. Getting your mindset in the right place is one of the most important things you can do. You need to believe that whatever you want to be the best at is possible for you. You need to take action. What would you do if you were already the best at this? How often would you do it? What other actions would you take during the day? How would you think and speak? If you can think like this, you are already well on your way to becoming the person you want to be. Whatever you want to be the best at, you need to carve out time to do it every day. Even if you’re short on time, you need to make the time. It could mean getting up an hour earlier. It could mean doing it when the kids have gone to bed. Whether you’re trying to teach yourself to play a uke with the help of Easyukulelesongs.com or you’re trying to learn another language, making sure you do it every day is important. Trying to write a book? Make time each day to sit down and write. No excuses. Tracking your progress helps you to stay motivated as you see how far you’ve come. Find ways you can track. Maybe you could film yourself or record yourself attempting what you want to do. Maybe you could write it down in an achievements book. There may be times where you feel like you hit a wall. Getting a coach or a mentor can help to keep you on the right track and help you to find your way around obstacles. It’s absolutely fine to make mistakes. In fact, it’s necessary so you can learn from them. Appreciate your journey, including your mistakes! You aren’t going to wake up in the morning and magically be the best. There aren’t’ any secrets. It takes hard work and dedication. Whatever it is you want to do, you can achieve it. You just need to be willing to put in the work. It’s really important that you work on your mindset too, so be sure to check out this post with 5 ways to improve your mindset.